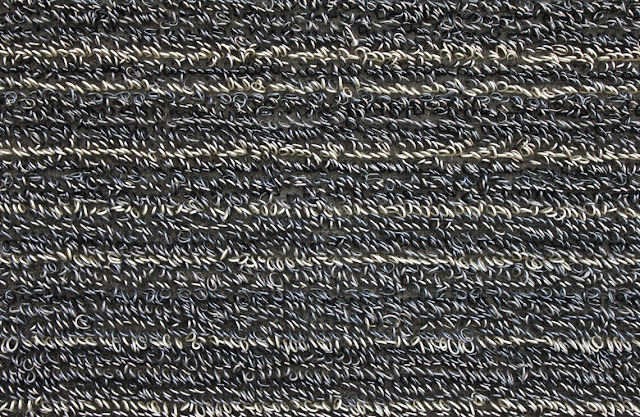 Skinny Stripe Shag Door Mat by Chilewich. Say "welcome" with a beautiful doormat; so stylish that it is easy to forget that it is practical too! 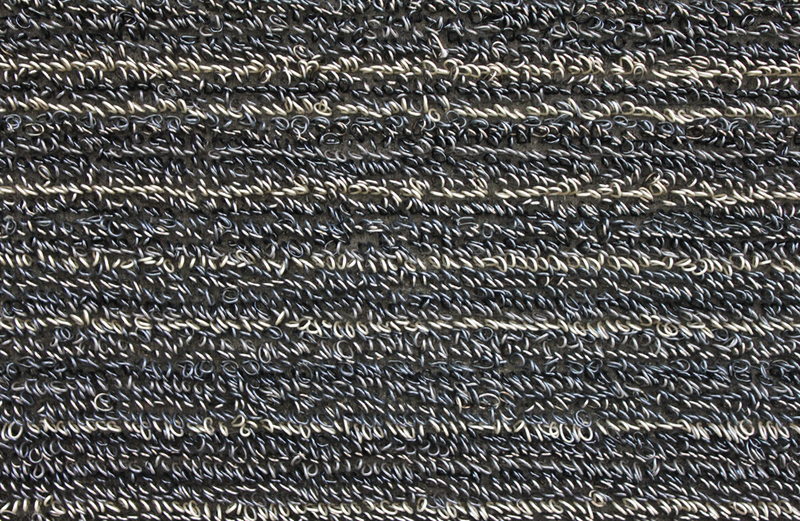 The Chilewich Shag Skinny Stripe Doormat is tufted from durable vinyl yarns for a textured "looped" look. 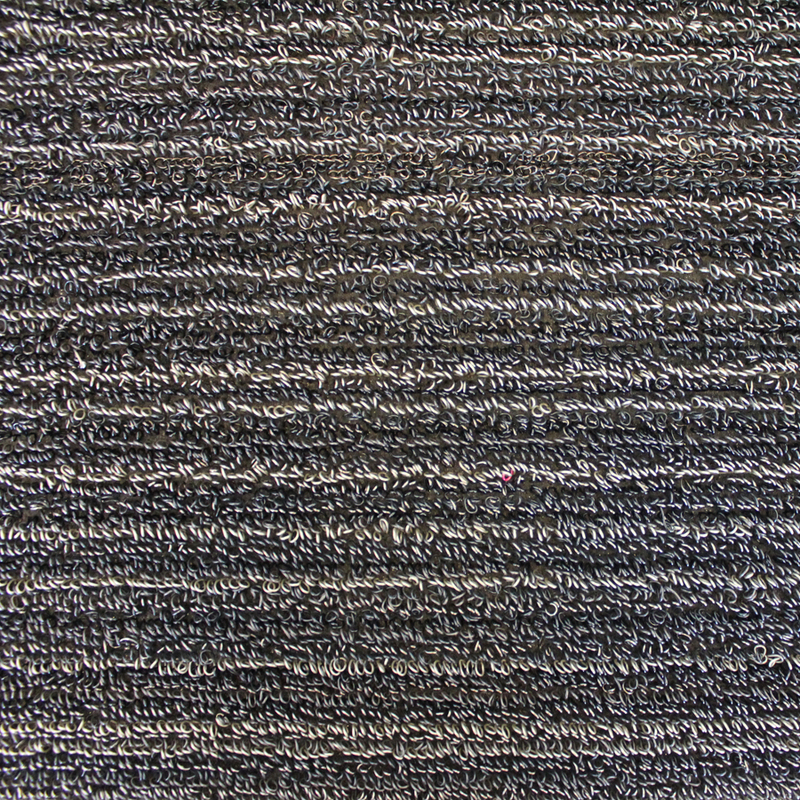 The durability of this extruded yarn, the intrinsic sheen of the material, its tremendous design versatility, and the fact that it is washable makes this one of our favorite doormats! 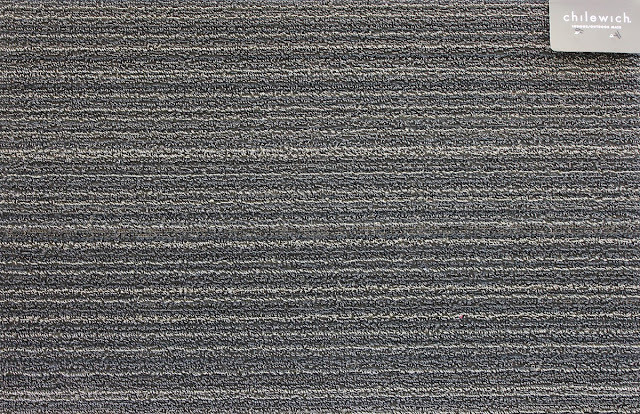 This beautiful Chilewich doormat looks great, is soft underfoot and the easy care nature is well suited for today's active lifestyles. 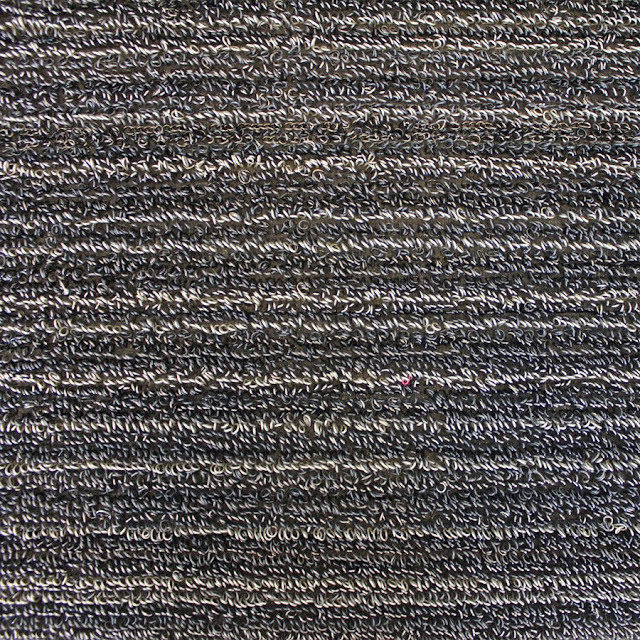 The doormats' unique construction wicks away moisture and dirt, trapping it in the pile for quick evaporation before floors, doorways or mudrooms get dirty and slick. These all-vinyl mats with awesome styling are ideal for entrances, bathrooms, outdoor terraces and entryways. Chilewich mats are good in all weather, are quick to dry and resist mold and mildew. They can be washed when needed with a garden hose, can be rolled and stored easily out of sight when needed. The long-lasting Chilewich doormats are finished with secure, non-skid urethane backing so movement on tile or hardwood floors is not a problem. Chilewich doormats are suitable for indoor and outdoor use and last a very long time in any type of weather. 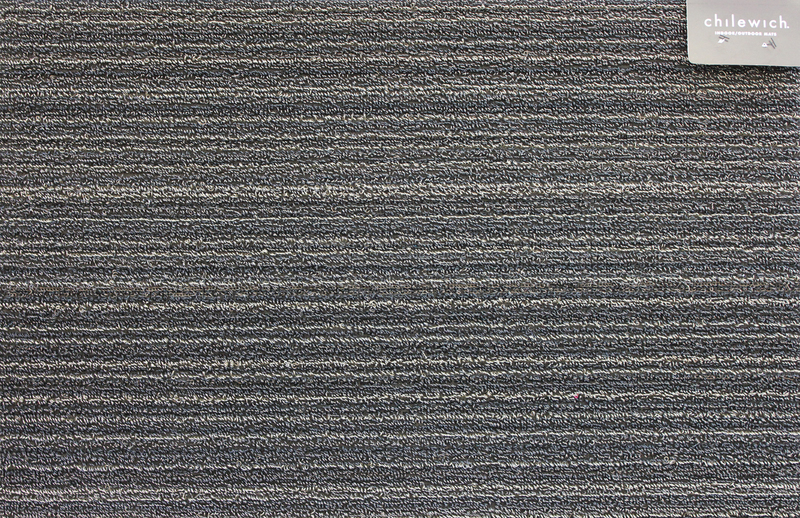 The Skinny Stripe Shag Doormat is one of our finest modern doormats with good looks to boot! Made in U.S.A.
Chilewich was founded by New York designer Sandy Chilewich who creates a distinctive product line of vinyl placemats, floormats, rugs and runners, which can be seen in homes and better restaurants around the world. The Chilewich collection features the designer's famed contemporary aesthetic and modern-chic color pallets with rugged durability and comfort. Made almost exclusively in the U.S., Chilewich now finishes 95% of their products in their own manufacturing facility in Georgia.